Match ends, Deportes Tolima 0, Deportivo Pasto 0. 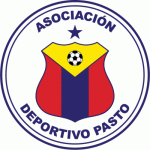 Second Half ends, Deportes Tolima 0, Deportivo Pasto 0. Attempt missed. Julián Quiñónes (Deportes Tolima) header from the centre of the box is too high. Assisted by Sergio Mosquera. Attempt missed. Daniel Cataño (Deportes Tolima) right footed shot from outside the box is close, but misses to the left. Attempt missed. Sergio Mosquera (Deportes Tolima) header from the centre of the box is close, but misses to the left. Assisted by Larry Vásquez with a cross following a set piece situation. Substitution, Deportivo Pasto. Carlos Hidalgo replaces Mariano Vázquez. Camilo Ayala (Deportivo Pasto) is shown the yellow card. Foul by Ederson Moreno (Deportivo Pasto). Daniel Cataño (Deportes Tolima) wins a free kick on the right wing. Attempt missed. Fabián Viáfara (Deportivo Pasto) left footed shot from outside the box is too high from a direct free kick. Carlos Robles (Deportes Tolima) is shown the yellow card for a bad foul. Foul by Carlos Robles (Deportes Tolima). Ederson Moreno (Deportivo Pasto) wins a free kick in the attacking half. Julián Quiñónes (Deportes Tolima) wins a free kick in the defensive half. Foul by Anier Figueroa (Deportivo Pasto). Mariano Vázquez (Deportivo Pasto) wins a free kick on the left wing. Foul by Sergio Mosquera (Deportes Tolima). Attempt missed. Ederson Moreno (Deportivo Pasto) left footed shot from outside the box is close, but misses to the right. Assisted by Fabián Viáfara. Substitution, Deportivo Pasto. Anier Figueroa replaces Daniel Giraldo. Daniel Cataño (Deportes Tolima) is shown the yellow card for a bad foul. Foul by Daniel Cataño (Deportes Tolima). Ederson Moreno (Deportivo Pasto) wins a free kick in the defensive half. Luis Caballero (Deportes Tolima) wins a free kick in the attacking half. Foul by Camilo Ayala (Deportivo Pasto). Attempt saved. Carlos Robles (Deportes Tolima) right footed shot from more than 35 yards is saved in the centre of the goal. Assisted by Juan Pablo Vargas. Substitution, Deportes Tolima. Luis Caballero replaces Marco Pérez. Daniel Cataño (Deportes Tolima) wins a free kick in the attacking half. Alex Castro (Deportes Tolima) wins a free kick in the defensive half. Attempt missed. Camilo Ayala (Deportivo Pasto) right footed shot from outside the box is too high. Assisted by Jown Cardona. Substitution, Deportes Tolima. Diego Valdés replaces Luis González. Substitution, Deportivo Pasto. Henry Rojas replaces Ray Vanegas. Mariano Vázquez (Deportivo Pasto) wins a free kick in the attacking half. Alex Castro (Deportes Tolima) hits the right post with a right footed shot from the centre of the box. Assisted by Luis González. Attempt blocked. Juan Pablo Vargas (Deportes Tolima) left footed shot from outside the box is blocked. Foul by Larry Vásquez (Deportes Tolima). Daniel Giraldo (Deportivo Pasto) wins a free kick on the right wing. Luis González (Deportes Tolima) wins a free kick on the right wing. Substitution, Deportes Tolima. Daniel Cataño replaces Rafael Carrascal. Second Half begins Deportes Tolima 0, Deportivo Pasto 0. First Half ends, Deportes Tolima 0, Deportivo Pasto 0. Attempt missed. Julián Quiñónes (Deportes Tolima) header from the centre of the box is close, but misses to the right. Assisted by Luis González following a set piece situation. José Ortiz (Deportivo Pasto) is shown the yellow card for a bad foul. Luis González (Deportes Tolima) wins a free kick in the attacking half. Foul by José Ortiz (Deportivo Pasto). Attempt missed. Ederson Moreno (Deportivo Pasto) left footed shot from outside the box is close, but misses to the right. Assisted by Camilo Ayala. Offside, Deportivo Pasto. Mairon Quiñónes tries a through ball, but Mariano Vázquez is caught offside. Attempt missed. Rafael Carrascal (Deportes Tolima) left footed shot from outside the box is high and wide to the left. Assisted by Alex Castro. Delay in match José Ortiz (Deportivo Pasto) because of an injury. Rafael Carrascal (Deportes Tolima) is shown the yellow card for a bad foul. José Ortiz (Deportivo Pasto) wins a free kick in the defensive half. Foul by Rafael Carrascal (Deportes Tolima). Offside, Deportivo Pasto. Mariano Vázquez tries a through ball, but Ray Vanegas is caught offside. Offside, Deportes Tolima. Rafael Carrascal tries a through ball, but Marco Pérez is caught offside. Ray Vanegas (Deportivo Pasto) wins a free kick in the defensive half. Foul by Juan Pablo Vargas (Deportes Tolima). Attempt missed. Marco Pérez (Deportes Tolima) right footed shot from the centre of the box is close, but misses to the left. Assisted by Carlos Robles with a headed pass. Attempt missed. Fabián Viáfara (Deportivo Pasto) right footed shot from outside the box misses to the left. Assisted by Ray Vanegas. Larry Vásquez (Deportes Tolima) is shown the yellow card for a bad foul. Mariano Vázquez (Deportivo Pasto) wins a free kick in the defensive half. Foul by Juan Guillermo Arboleda (Deportes Tolima). 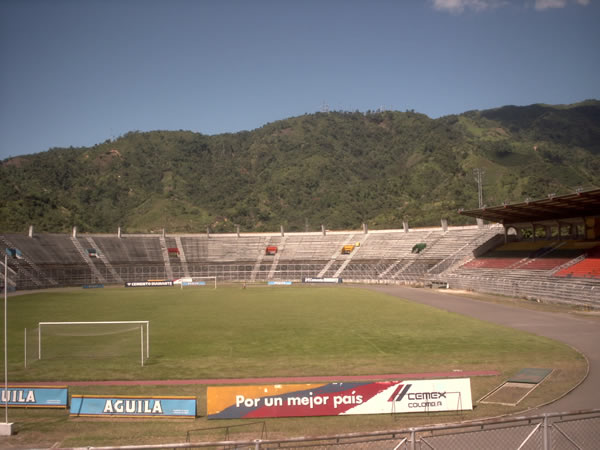 Corner, Deportes Tolima. Conceded by Mairon Quiñónes. Offside, Deportes Tolima. Rafael Carrascal tries a through ball, but Larry Vásquez is caught offside. Offside, Deportivo Pasto. Mariano Vázquez tries a through ball, but Jown Cardona is caught offside. Foul by Alex Castro (Deportes Tolima). Daniel Giraldo (Deportivo Pasto) wins a free kick in the defensive half. Attempt blocked. Marco Pérez (Deportes Tolima) right footed shot from outside the box is blocked. Geisson Perea (Deportivo Pasto) is shown the yellow card for a bad foul. Luis González (Deportes Tolima) wins a free kick on the left wing. Foul by Geisson Perea (Deportivo Pasto). Attempt missed. Daniel Giraldo (Deportivo Pasto) right footed shot from outside the box is close, but misses to the left. Assisted by Camilo Ayala. Corner, Deportivo Pasto. Conceded by Juan Pablo Vargas. Attempt blocked. Fabián Viáfara (Deportivo Pasto) left footed shot from the right side of the box is blocked. Assisted by Camilo Ayala. Sergio Mosquera (Deportes Tolima) wins a free kick in the defensive half. Foul by Mariano Vázquez (Deportivo Pasto). Hand ball by Mariano Vázquez (Deportivo Pasto). Attempt missed. Julián Quiñónes (Deportes Tolima) header from the centre of the box is close, but misses to the right. Assisted by Luis González with a cross following a corner. Corner, Deportes Tolima. Conceded by Daniel Giraldo. Foul by Mairon Quiñónes (Deportivo Pasto). Offside, Deportivo Pasto. Jown Cardona tries a through ball, but Ray Vanegas is caught offside. Attempt missed. Jown Cardona (Deportivo Pasto) right footed shot from the centre of the box misses to the left. Assisted by Mariano Vázquez with a cross following a corner.